I CAN'T WAIT for you all to come down here!!! Now that we are staying you can confirm you are coming, correct?? You will get a tan here and it will be Hot Hot Hot! (like the Caribbean weatherman says). I'm getting super excited!!! STOP getting cuter Finley! I'm coming as fast as I can. I miss you both and that little boy too! It looks as if you all had such a great time. 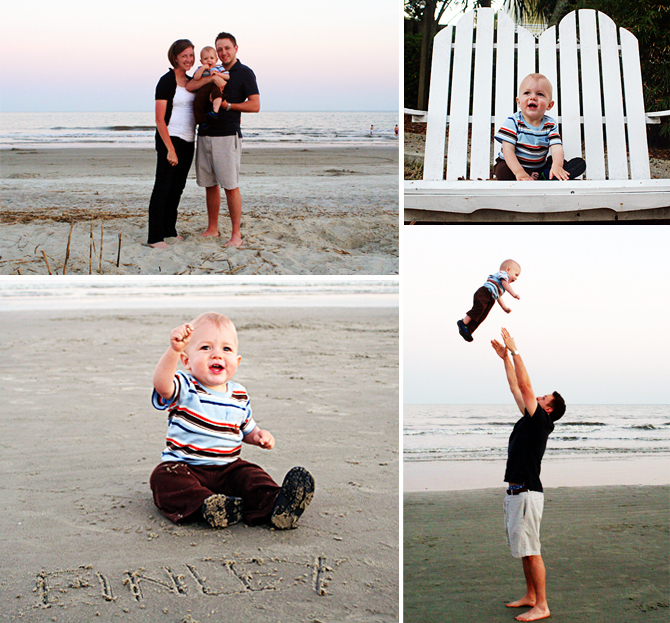 And we got excited to see Finley with 1) Big boy shoes and 2) Flying and 3)Playing in sand. So, we are easy to impress! Happy Easter and Happy Spring!!! He looks so big!!! I can't believe he'll be ONE year old in two and a half weeks. He's just too big. Time for you guys to have another baby. By the way- when Dan saw the pictue of Sol throwing Finley, he thought that you guys should show that to Finley when he's older and tell him that it's a picture of the stork dropping him. It would add some credibility to the stork story to have photographic evidence, and it might delay the "where babies come from" talk for a few extra years. Ummm I am only 11 but... it looks like your car is going about 60mph when the mileage pic was taken... should i be concerned??? So when did Finbert learn to write? 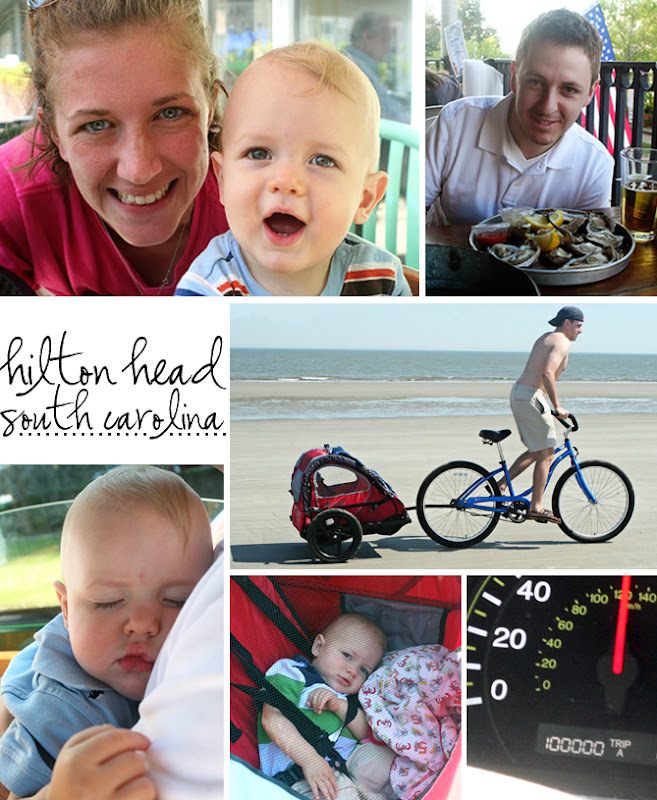 Stina-- We can't wait for beach time with the Podanys! Mary-- Happy Easter to you too! Laura-- Oooh I like it! Proof that he was delivered by stork... or sent from heaven. Kim-- Keen observation! Fortunately, Sol was driving. Unfortunately, I was in the backseat, pumping and leaning over him to take the picture. And 60 is probably an underestimate. Unsafe. Dad-- Come on. He's a child genius. He was communicating via morse code in the womb. If Finley gets any cuter you are going to need and agent for him. Happy Easter! !